This has been an incredible year for mushrooms in the Northwest. Early fall rains have caused these gems to pop up everywhere. I haven’t been able to go mushroom hunting myself, owing to my injured knee, but friends have been bringing back pound after pound of fungus deliciousness from the mountains. Put all of the ingredients in a slow cooker, except the beans and cook on high for 3 ½ hours. Add the white beans and continue cooking another 20-30 minutes, until the beans are hot. Season to taste with salt and enjoy! 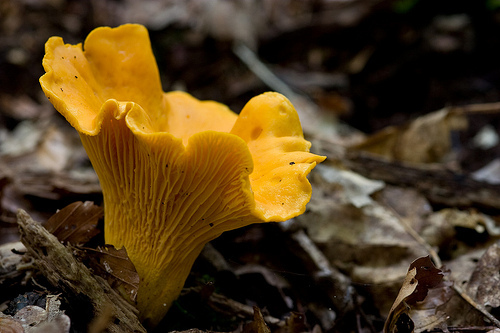 Wine suggestion: early mushrooms, such as black trumpets, chanterelles and shiitakes, pair best with earthy wines. Try a burgundy, nebbiolo or pinot noir.